Help shape the future of a burgeoning charity and play your part in changing lives! The role is a busy, hands-on position supporting our small team of staff and dedicated volunteers to deliver the Foundation’s initiatives and have a real impact on the lives of those affected by mito. The Mito Foundation supports those affected by mitochondrial disease (mito), funds essential research into the prevention, diagnosis, treatment and cures of mitochondrial disorders, and increases awareness and education about this devastating disease. One Australian child born each week will develop a severe or life-threatening form of mito. Based in our head office in Surry Hills in Sydney, the Mito Foundation offers flexible and family friendly working arrangements with attractive salary packing options leveraging the Foundation’s FBT exemption status to maximise your take home pay. 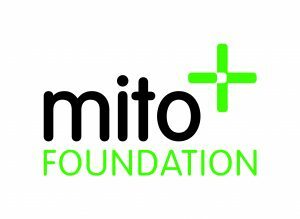 The Mito Foundation’s vision is to be the pre-eminent source of energy and hope for the mito community and our mission is to support the mito community whilst seeking cures. Mito is a potentially fatal genetic disorder that robs the body's cells of the energy they need to thrive. Only recently identified and originally thought to be a rare disorder (affecting one in 20,000 people), it is now known that one in 5,000 live births will result in a life threatening form of mito. Furthermore, one in 200 people carry genetic mutations that put them at risk of developing milder forms of the disease or unknowingly passing it on to their children.